Because imagery sees the earth in unique ways, this enables us to both view and analyze our world using multiple perspectives. At the most basic level, imagery is simply pictures of the earth. Imagery can be immediate or taken across multiple time spans enabling us to measure and monitor change. Every image contains massive amounts of information and can be one of the most immediate ways to collect data. When it’s integrated with GIS, imagery encompasses a broad collection of data about our world in the form of pictures from above—taken by satellites from space, aircraft flying over our cities, and collected by other sensors. Imagery represents the earth in digital pictures composed of millions of pixels. Satellite and aerial images are geo-referenced pictures that overlay focused areas of our planet. Aerial photography, historically on film, has gone digital. Still and video imagery from drones is on the rise. After this May, 2014 Oklahoma tornado event, updated imagery for the scene appeared online within 24 hours. 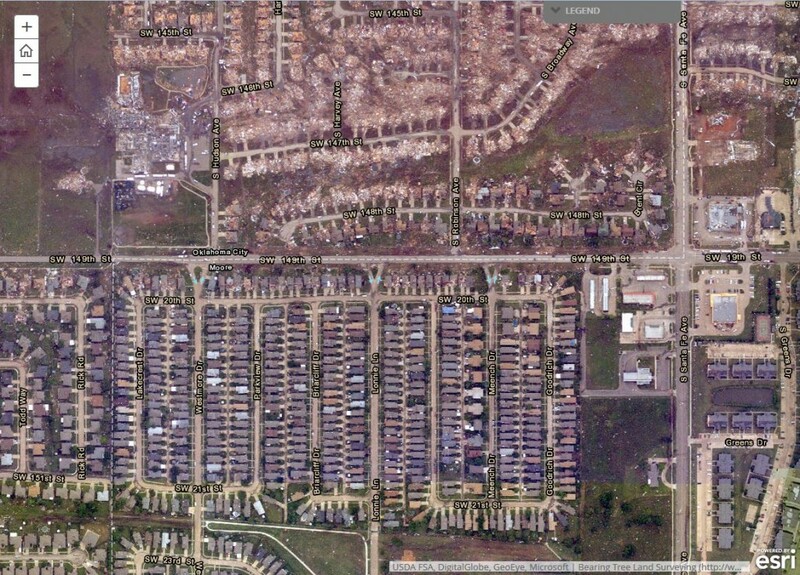 Imagery clearly shows damage from the May, 2014 Oklahoma tornado event. Click above to view the image. The extent of satellite imagery has never been better. It can be used for mapping crops and vegetation, gold and oil exploration, and urbanization, to name just a few examples. This image shows a band combination that is useful for vegetation studies. Healthy vegetation is bright green and soils are mauve. Click above to view the image. Electronic sensors in satellites and planes detect more than the human eye—information in the form of spectral bands. Once a band is captured as an image by a sensor, it can be displayed using the colors we see. 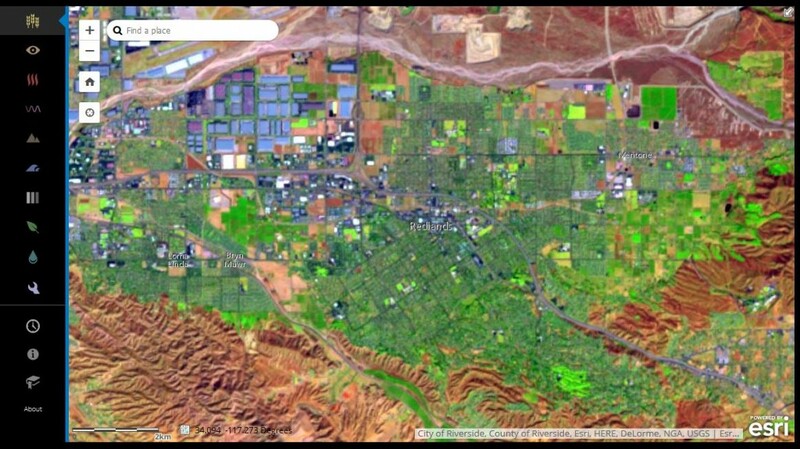 This web application highlights some of the capabilities for accessing Landsat image services. 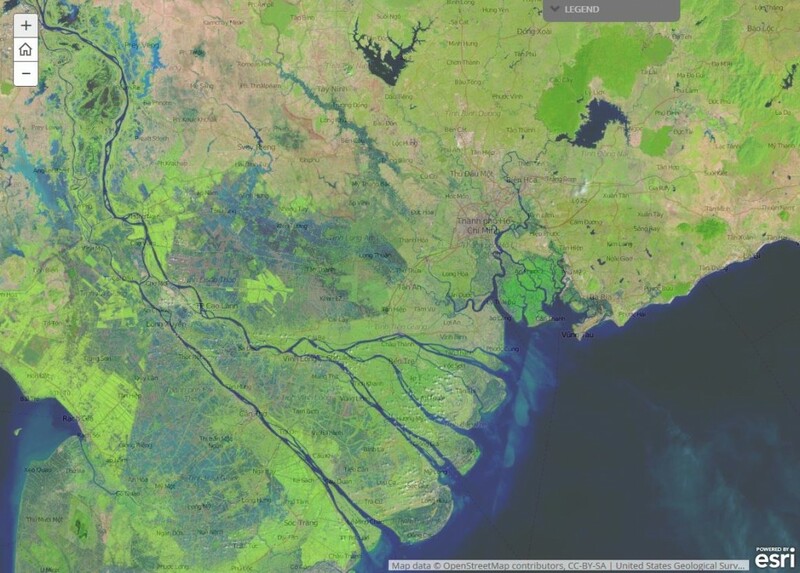 The services are updated on daily basis with new Landsat scenes. Click above to view the web application. Because imagery sees the earth in unique ways, this enables us to both view and analyze our world using multiple perspectives. Depending on the satellite’s sensors, imagery can provide access to both visible light as well as to invisible aspects of the electromagnetic spectrum. This enables us to interpret what we can’t see with the naked eye. We can visibly observe the presence or absence of water, classes of land cover and urbanization, the occurrence of certain minerals, human disturbance, vegetation health, changes in ice and water coverage, and a multitude of other factors. Imagery even enables us to automate the generation of 3D views of our planet. And because the imagery collection is immediate, it enables us to monitor and measure change over time. This introduction to imagery is excerpted from the new book, The ArcGIS Book: 10 Big Ideas about Applying Geography to Your World. The twin goals of this book are to open your eyes to what is now possible with Web GIS, and then spur you into action by putting the technology and deep data resources in your hands. 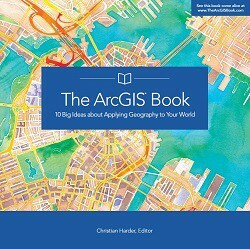 The book is available through Amazon.com and other booksellers, and is also available at www.TheArcGISBook.com for free.